That’s right, Drupal is officially an adult! Yesterday, Dries -- the founder of Drupal (the content management system, upon which we build the vast majority of our solutions) posted that it was 18 years ago that he released Drupal 1.0.0. 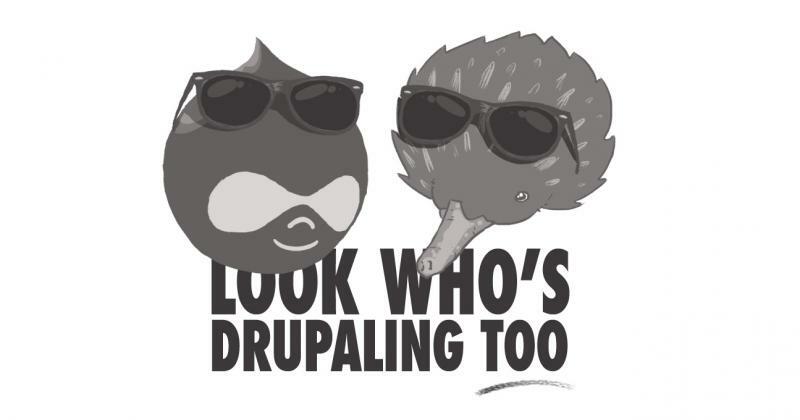 Over the years, Drupal has grown and flourished. And it’s been taking on the world for years. Why? Because it works. It’s an open-source technology that benefits from a committed group of passionate developers and contributors -- over one million strong -- who work every day building solutions, upgrading existing modules, and solving an increasing array of challenges that modern organizations face. If you peruse our case studies, you’ll see an impressive list of North American institutions who use Drupal as the foundation for their digital solutions. And that’s just a sampling of the global reach that Drupal has. From the U.S. and French governments to major media companies such as the BBC and NBC, to marquee organizations and educational facilities like Amnesty International and the University of Oxford, Drupal’s the trusted foundation for tens of thousands of organizations. Why are they using Drupal? Because it’s powerful, flexible, scalable, and provides users with intuitive ways to maximize the impact of their content. And it’s only getting better, more user-friendly, and more adaptable. The technology world moves quickly. Companies and technologies come and go. So to reach 18 years and still be at the vanguard of the industry means you’re doing something right -- and that something is focusing on the needs of its users. It’s an exciting moment for us as well. Back in 2009, we dipped our toes in the water with Drupal, exploring its potential and its options. By 2011, we were all in -- we decided to build all our solutions on Drupal. And while others may have thought we were a little weird embracing this framework, I can honestly say it’s been the foundation of our ongoing growth, success, and -- most importantly -- sustainability. You’ll often hear me talk about how important it is to give back to the community that sustains us. That’s foundational for Drupal and we’ve long been committed to supporting Drupal. Whether that’s through allocating time for developers to contribute back, to encouraging and supporting continuing education efforts -- six Canadian Drupal grandmasters got their certification at Echidna, or even fostering an interest in Drupal in the community (for example, our ongoing partnership with Fanshawe College) or hosting LonDUG events (say, tomorrow’s event that you’re welcome to come attend) we believe that sharing our knowledge and building up the community is a key area for us to encourage growth. It’s both exciting and humbling to be part of something so much bigger than yourself. We feel it when we travel to DrupalCon and other events, meeting our peers, and sharing experiences about challenges we’ve solved for our clients. You truly feel a sense of community in that, even though we’re sometimes competitors, we’re all working together to create the best possible technological foundation for our clients. That’s a wonderful thing to be a part of. Drupal’s “adulthood” is promising to be even more exciting. Drupal 9 is on the horizon and is being rolled out in a way that is intended to be as frictionless as possible for users. We’re excited to be a part of that ongoing growth and we’re looking forward to another 18 years of taking on the world! How long has Drupal been in existence?